It is perhaps the biggest surprise regarding World Cup squad announcements ahead of the World Cup. Russia’s national team coach Stanislav Cherchesov has reacted to the Sbornaya’s injury crisis by calling up 38-year-old CSKA Moscow defender Sergey Ignashevich. 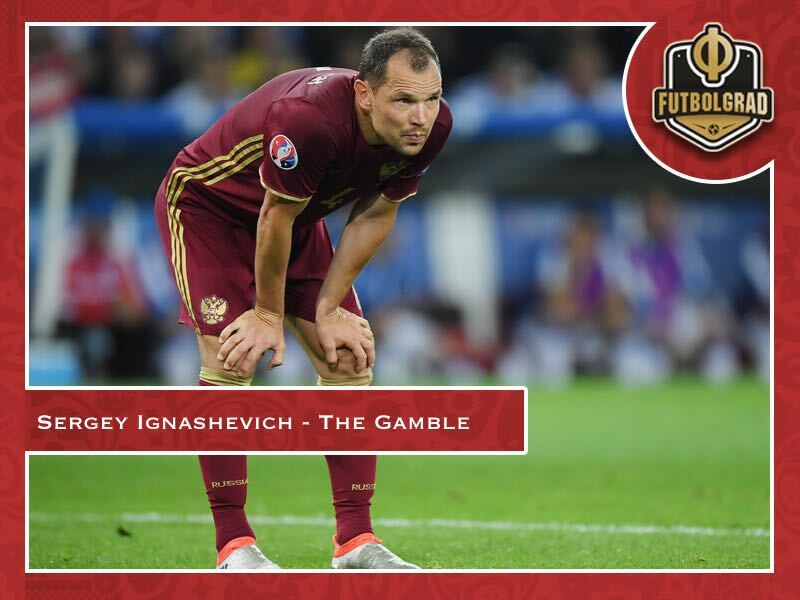 Ignashevich has played 120 games for Russia but retired from the national team following the disastrous 2016 UEFA European Championship campaign in France where Russia failed to qualify out of the group stage. The defender was also scheduled to hang up his boots this summer retiring from football altogether. With Giorgi Dzhikiya and Viktor Vasin going down with ACL injuries earlier this year, however, Cherchesov’s options were increasingly limited. Furthermore, the Berezutski twins, Aleksei and Vasili, have already determined that they would no longer be available for the tournament. Cherchesov’s system, however, relies on a back-three, which means that he was desperate in finding centre-backs to play his 3-5-2 system. One of those options was Rubin Kazan defender Ruslan Kambolov. The defender, however, was among the athletes that were investigated by WADA for possible breaches of doping protocols. The 28-year-old Kambolov was since cleared from the investigation but has now been scratched from the squad by Cherchesov nonetheless – officially due to a thigh injury. Kambolov’s departure from the squad has now opened the door for the 38-year-old Ignashevich. At first glance, the nomination will fix Cherchesov’s backline problems at the same time there is significant doubt on whether Ignashevich can still withstand the rigours of playing at the highest level. Although the defender plays as part of a three-line defence for CSKA Moscow, the World Cup will be a significant step up from CSKA’s regular league play. Drawn into Group A Russia will face Uruguay, Egypt and Saudi Arabia. At first glance, it is a relatively easy group and Russia should have a comfortable start against Saudi Arabia on June 14. But Russia will then face Egypt on June 19 in St. Petersburg and then Uruguay on June 25 in Samara. 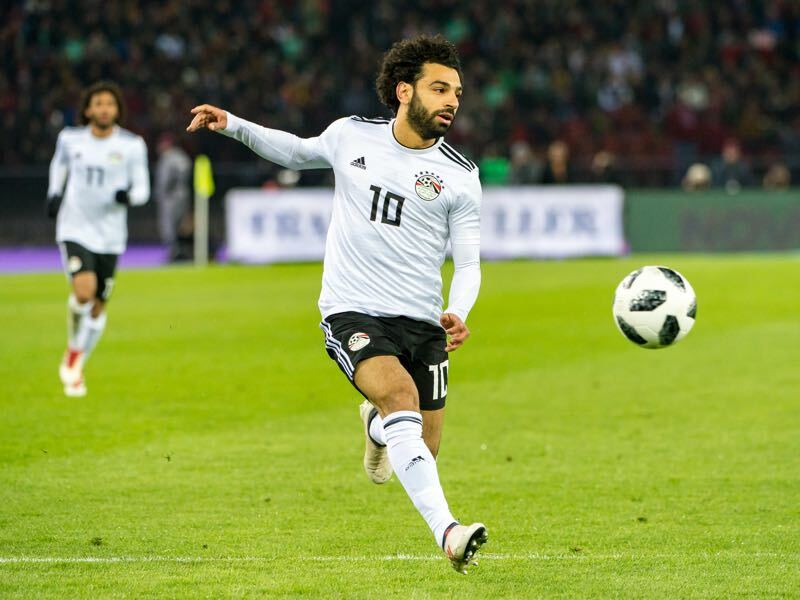 Egypt will be travelling to the World Cup with the red-hot Mohamed Salah in the squad. The Egyptian striker has been on fire for Liverpool all season scoring 32 goals, and 11 assists in 36 Premier League games this season. He also managed to score ten goals and five assists in 12 Champions League games. Quick and versatile there is doubt on whether Ignashevich still has the speed to handle a player of Salah’s calibre. Furthermore, things do not get easier for Russia on matchday 3 as they will face Uruguay’s forward partnership Luis Suarez and Edinson Cavani. Both of those games could represent a tough task for Ignashevich and his backline and might be a step too far at this point of his career. But did Cherchesov have a choice? Baring a change of formation away from the 3-5-2, which would be a risky business at this stage of the World Cup preparation, Cherchesov was running out of options when it comes to selecting defenders. Ignashevich has the experience of running a back-three, and he plays regular minutes in the UEFA Champions League. Furthermore, Ignashevich will bring a wealth of international experience. The defender has played 661 professional games for Krylia Sovetov Samara, Lokomotiv and CSKA Moscow. He has also won six Russian championships, seven Russian Cups and the UEFA Cup with CSKA Moscow in 2005. That experience and presence in the dressing room could aid Russia throughout the tournament. In the right tactical setup, for example in combination with two athletic centre-backs, Ignashevich could, therefore, become an important piece to the squad. Given the pros and cons about his nominations, Cherchesov’s integration of the 38-year-old defender could, therefore, be the critical puzzle piece. In many ways, Ignashevich’s nomination is a gamble that could either pay huge dividends or end in tears for the Sbornaya. LOL. Like at the 2016 EuroCup, Russia will have more assault and batteries than goals at this corrupt World Cup. Uruguay will emerge undefeated in this group. Uruguay is definetly a great team. Players such as Torreira and Vecino are in great form this season. The same happens with Egypt, without any doubt with Salah as the main threat in Pharao’s attack, but also with Trezeguet.